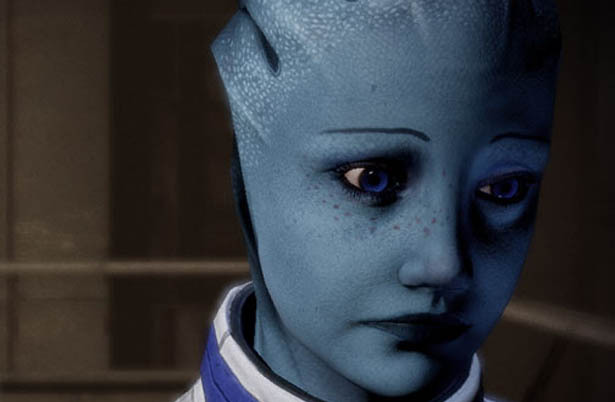 The Mass Effect 3 fervor remains in full swing, and while many are already growing tired of the backlash against Bioware, it would be a missed opportunity to not discuss ramifications of player-driven protestations. Of course this is a grand subject, so we could not handle it alone. Kris Ligman of Critical Distance and Dire Critic joins us this week to discuss player entitlement, authorial intent, and all the drama surrounding the color-coded end of Commander Shepard. As always, we would love to hear your thoughts on the controversy in the comments section below. You will also find more of Kris' work in the show notes as well as pertinent articles about the Mass Effect ruckus. Really enjoyed your discussion. I absolutely loved the game - I think it's my favorite of the three, and at first I couldn't understand how people were complaining that their choices didn't matter. You had the power to end thousand-year-old conflicts and save entire species from extinction. Not through violence (well, mostly), but through reasoning and empathy. What other game can you say that about? Even if you take the most negative interpretation of the ending - that you failed and the entire universe is destroyed - you still brought hope to the dying and hopeless. Isn't that worth something? The final cutscene was a bit... odd, but I agree that the "deus ex machina" was set up beforehand. We were always told that the galaxy was using technology it didn't understand, and it made sense to me that the final outcome would be heavily guided by forces beyond your control. It's not an ideal ending, but I feel like it fit the universe they set up. After reading through the articles, I didn't realize that the Bioware developers were so explicit about how the ending would not be a "pick-one" cutscene. I also didn't know that it directly contradicted the DLC and novels (which I skipped). So on that front, I can see why people are upset. But I think it's a bit much to call for a new ending, or to be so put off as to swear off Bioware games forever. I think that belittles all that the game accomplished. My only real disappointment was that I missed out on Mordin's story arc. He died mysteriously in my ME2 game and was replaced with a kind of generic salarian, which wasn't nearly as effective.